TAG focuses on their new innovation this year – the carbon hairspring, with a whole collection using the innovative new material (for hairspring). Touted to be an alternative to silicon, the carbon hairspring is the world’s first. 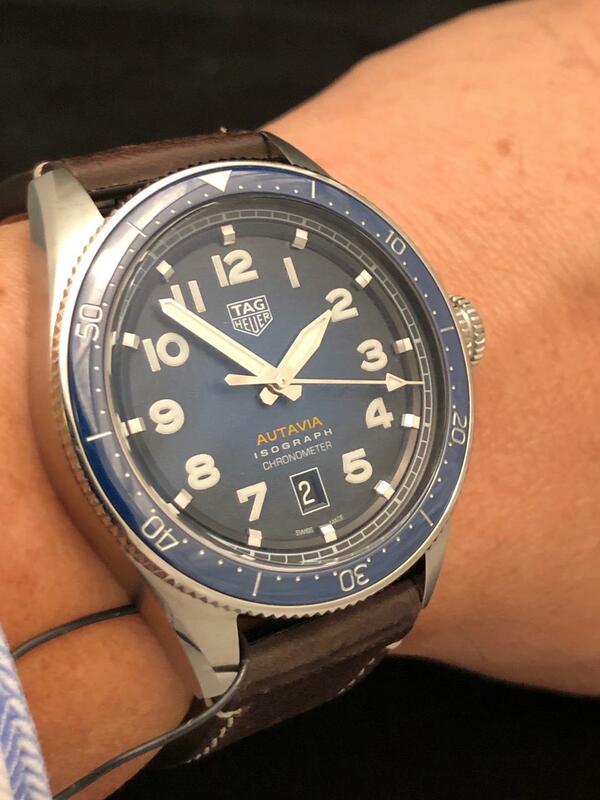 Developed in-house by TAG Heuer, it is currently only on TAG Heuer. First off the Autavia Isograph a 3 hand watch with ceramic bezel and date. S$5050 in SS case of 42mm. Two colors: blue and smoked brown. The strap is easily interchangeable strap. Available also w bracelet. 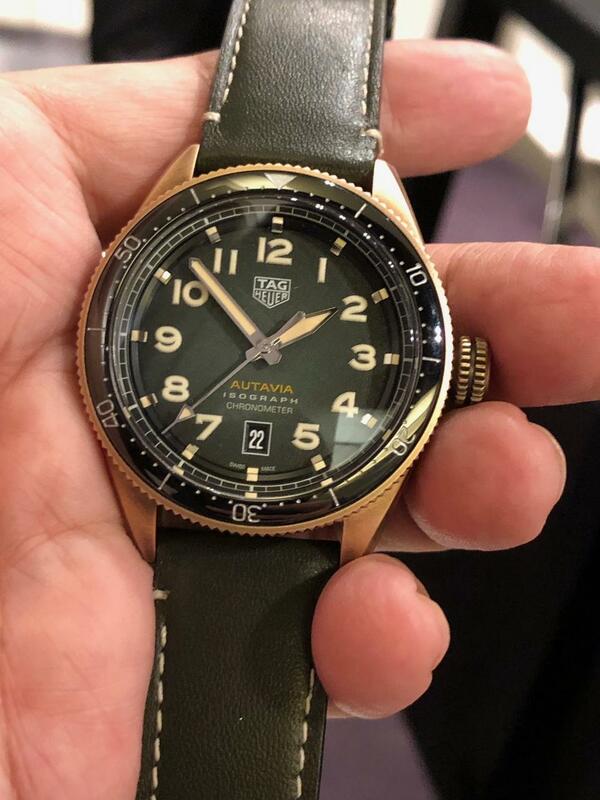 Also bronze case in either brown or khaki green. S$6050. 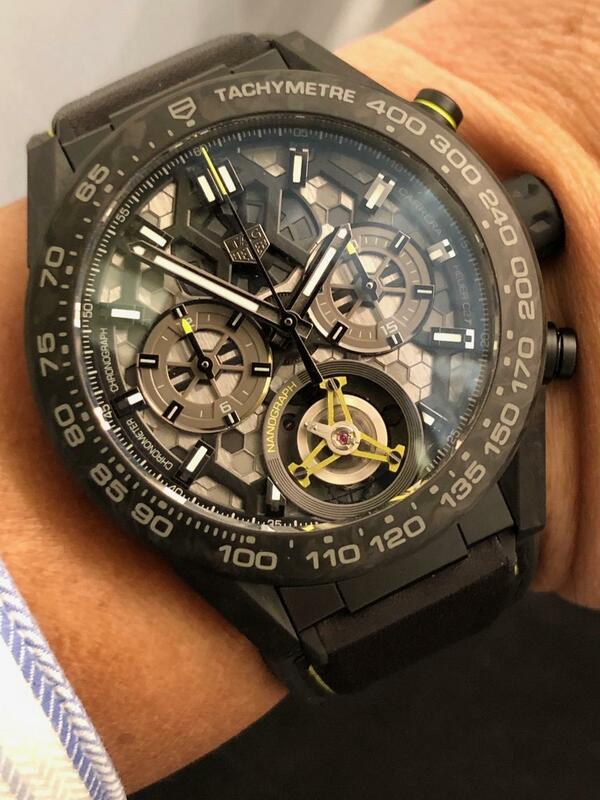 And the Carrera Heuer 02 Nanograph Tourbillon. The carbon hairspring is fitted to the Heuer 02 Chronograph movement. S$35,950. Ti case PVD treated with a carbon bezel and lugs.